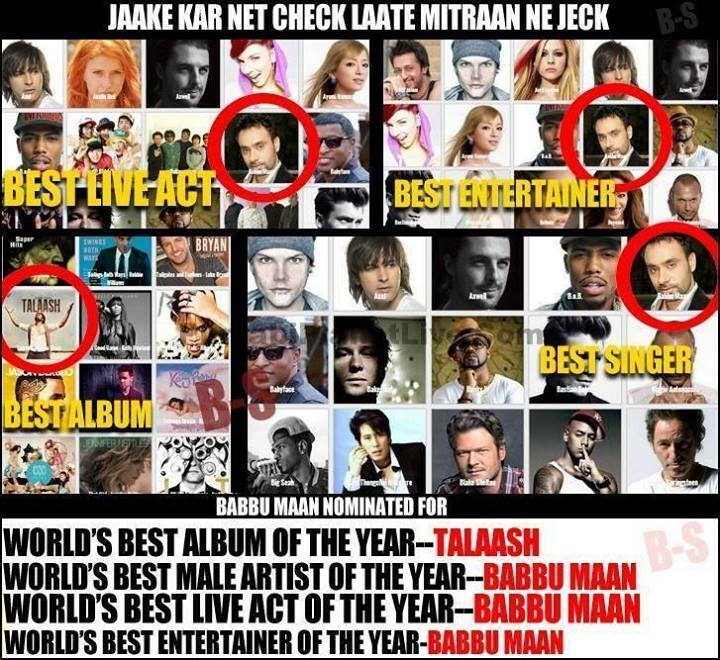 The one and only Babbu Maan, who has given our Punjabi music industry outstanding songs like, 'Mittran Di Chhatri', "Pyass", "Mere Dil Wich", has got nominated for World Music Awards 2014. The marvelous update is that he has been nominated for four categories: World's Best Album, World's Best Male Artiste, World's Best Live Act, and World's Best Entertainer. 'World Music Awards' is an world level awards show founded in 1989. Awards are presented to the world's best-selling artists in the various categories and to the best-selling artists from each major territory. This year the awards are on 27th May 2014 in Monte Carlo, Monaco.